Do you have readers that are reading below benchmark and are in need of additional help? The first, and most important step in helping these students is in gathering the necessary data you will need in order to pinpoint areas of strength and difficulty. Important data needed to determine how to move forward in your instruction. Our intervention assessments serve as an organizational tool for gathering information about language arts strengths and weaknesses. I know that sometimes it can be difficult to collect all of the necessary information in one place, and so I’ve created these ready to go assessments. This resource will help you learn more about your students and determine the focus of your targeted instruction during both classroom and intervention times. These research-based and field-tested assessments will determine your student’s skill levels in the following areas: Blending and Segmenting, Phoneme Manipulation, CVC Words, CVCe Words, Blends, Digraphs, Vowel Digraphs, Trigraphs, Core Vowel Patterns for a e i o u, inflectional mixed endings, inconsistent spellings, prefixes, suffixes, contractions, closed multisyllabic words, Open Multisyllabic Words, and Spelling skills. *Sight Word Assessments using your own list should also be used. Due to the frequency of assessing students at regular intervals throughout the school year, this assessment document provides a space to record information for different testing periods. Four spaces have been provided to fit semester or trimester testing. Better yet! These assessments are available on ESGI. 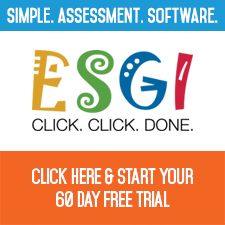 Use ESGI to easily assess your students digitally, at the click of a button, and see at an instance what strategic, targeted instruction needs to be delivered to bring readers up to grade-level. ESGI makes graphs, charts, and data analysis available with a simple click, so you can quickly adjust instruction, individualize lessons, create small groups, and report to parents and administrators. Dozens of reports are available. Click on the picture below to receive great instruction from ESGI Support on how to print and use these reports. The Reading Kiosk (a sister blog of Kindergarten Kiosk) has numerous products that will help bring your center and/or intervention times to a new level of fun and results. Your students can be brought to grade level with unwavering advocacy, highly concentrated targeted instruction, hard work, commitment, time, and assessments to guide the way. We pride ourselves in providing research based material that is linked to core standards and is scripted for easy use. The bulk of our activities are game-based; meant to be played at an adult-led station to provide instant feedback, differentiated instruction, and quality target instruction. The games can then be used by students at independent work stations for independent practice. If you are looking for perfect assessments for your Preschool, Kindergarten, and/or 1st grade classroom, Kindergarten Kiosk can take care of all of your needs. These assessments are field tested and are being used in tens-of-thousands of classrooms across the US and beyond. Find out about those assessments here. 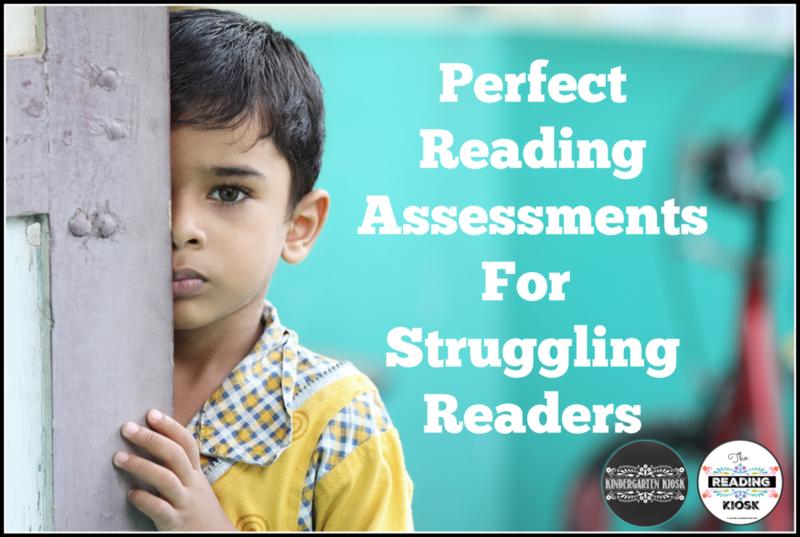 Newer PostStruggling Readers and Don't Know Where to Start?